I first met Robert Porter on a staycation at Scottsdale’s beautiful Phoenician Resort. Stopping in to the Thirsty Camel to relax on the picturesque patio, I ordered a Negroni, which immediately sparked an enthusiastic discussion on cocktails. I learned that Robert has honed his craft skills at acclaimed spots such as Trader Vic’s at the Hotel Valley Ho, Jade Bar at Sanctuary Camelback Resort, and Second Story Liquor Bar, and that he is also a talented artist. Robert studied graphic design, working for the Phoenix Suns doing the graphic boards for the stadium and later for a publishing company, along with brief forays in medical equipment sales, for a chemical processing company cleaning jet engine parts and semiconductor components, and as a door-to-door salesman of home and car stereos. How did you get into the industry? I kind of stumbled into it. I thought it would be something temporary. I worked for a publishing company that got sold. I did that for about 6 years and I thought about becoming a bartender on the side; I had a friend who did that. I went to a bartending school in 2004 and learned a lot about the industry. It took a little while to get into it, but once I got my foot in there, I really enjoyed it. Luckily, I just happened to apply to a place I saw on-line called Trader Vic’s at the Hotel Valley Ho. I met with the bar manager, gave him my resume, and said I wanted to be a bartender. The manager said "do you know anything about Trader Vic’s?" I said "no, I don’t." So he told me to go home, research it, and "give me a call tomorrow." I went home, checked it out, and learned all this great information and history. Trader Vic’s pushed my game towards pure ingredients. I learned how to develop my palate, how to try to find something that could accent all your taste buds, a little bit of sweet, a little bitter, a little tart, little savory, maybe a little bit of funkiness, learning how to incorporate all those ingredients together. The menu was a little intimidating, it had like 85 cocktails on it and tons of ingredients. You had to learn a whole new language. It was a lot of fun. It was sad to see it close. 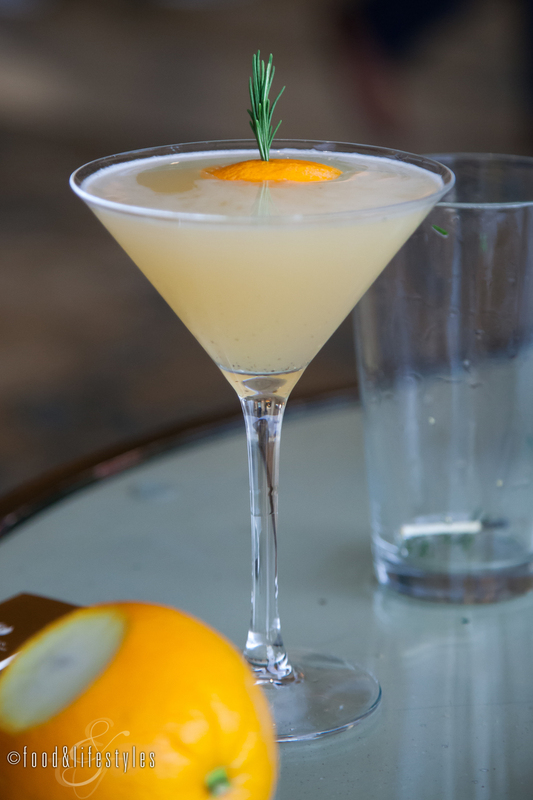 What brought you to the Jade Bar. When Trader Vic’s closed, actually, the day it closed, I got a call from the Sanctuary. Joe Martin, I had worked with briefly at Trader Vic’s. He ended up leaving and becoming the beverage director at the Sanctuary. He caught wind that Trader Vic’s was closing and he called me. The reputation that the Sanctuary had and its bartenders, I said, wow, this place is serious. Kyle Mason was there, and Jason Asher had just left and so had Tyson [Buhler] and Micah [Olson]. I learned a lot. One of the things at Sanctuary was I had this great mentorship with Ryan Magarian. He’s a great bartender. He works with Aviation Gin now. He came and took everybody’s game to another level. For example, he had us practice jiggering all day - how do you hold that jigger, not like this, not like that, exactly how to hold it, the technical aspects. 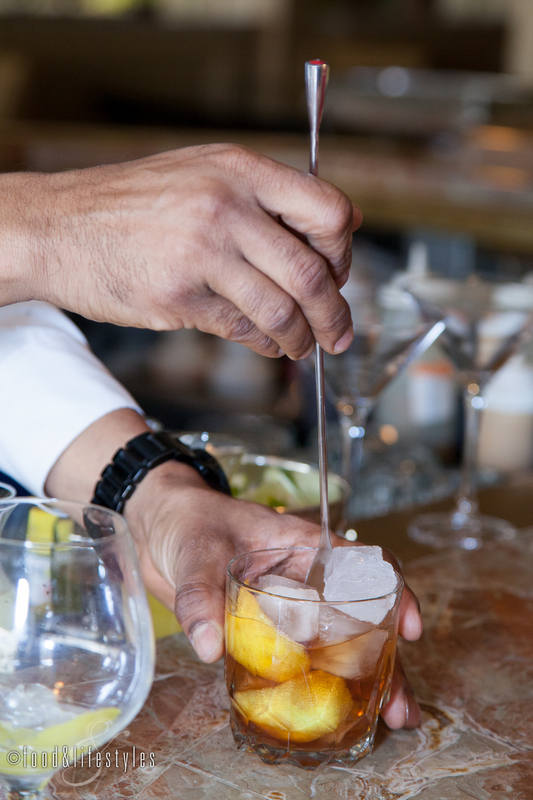 What do you love about bartending? I love to do things that are creative. I love to work with my hands. I get to work with other people, which is a lot of fun too. When I make a great drink for somebody and they tell me, "wow, this is the best drink I’ve ever had." That is the ultimate goal. That’s a fantastic feeling. There is nothing better than when you do something for somebody and they light up. Even better if it’s a year down the road and they come back and remember you, "wow, you made me this great drink that had this and that." I’m so touched that you remember me and my great drink. It’s all about trying to do the best you can with cocktails. It’s not as complicated as people think it is. It’s all about balance. It’s like baking a cake. Once you get your foundation, your ratio of spirit, acid, and sugar, once that’s set, the sky’s the limit. What inspires you? Salads are great for a cocktail inspiration. If you think about it, a salad can have nuts, some vinegar, cheese, berries, something that is salty, something sweet; when you get your fork and get one big bite and all those flavors taste great. You have the same taste buds for drinking as you do for eating. You want to incorporate that experience into the experience of your cocktails that you are drinking. Favorite spirit? I’m a gin guy. I love gin. There are different styles of gin. It’s not just about Bombay Sapphire or Tanqueray. It’s not just about juniper and citrus components. Nowadays, gins have sarsaparilla and Turkish rose and lavender. With the different components that gin carries, it lets you incorporate so many great cocktails. I’m the guy who is constantly trying to turn vodka drinkers into gin drinkers. A lot of times you just give them a bottle and let them smell it. They don’t realize that it smells and tastes so good. I think sometimes people are thinking of the tonic in a gin and tonic. They don’t separate that and sometimes people are afraid of gin because tonic has that bitter, salty, quinine, overpowering flavor. I love using gin. You put it in a Cosmo or a Lemon Drop or a French 75, and it’s unbelievable. Do you have a favorite gin? Thank you for asking. I love Nolet’s. Nolet’s is a great gin, it's one of your new style of gins. It has lemongrass and Turkish rose. That, with just a little bit of ice and maybe a lemon twist, is just so good. A drink I wish more people would order…a Pimm’s Cup. I think a Pimm’s Cup can be a very hot commodity instead of Moscow Mules. Moscow Mules are last year, let’s do a Pimm’s Cup. It’s sparkling, it's very refreshing, you can use cucumbers and oranges, fruit and vegetables. A Pimm’s Cup is something I would like to see more of. On a hot summer day, I'll drink…I love beer on a hot day, an amber. I’m a fan of anything Four Peaks. As far as a cocktail on a hot summer day, I love a Caipirinha. It’s really great with that Brazilian rum and lime. On a cool day, I'll drink …an Old Fashioned. A super-simple cocktail. Most people over-complicate it. My Old Fashioned recipe is two lemon twists, two sugar cubes, four or five dashes of Angostura bitters and then two ounces of your favorite bourbon. The key to a great Old Fashioned is give it a nice long stir and let the sugar dissolve. A lot of times people make an Old Fashioned and they don't stir it enough or they shake it. You have your cocktail but you drink all your spirit and have sugar at the bottom. Sugar does not dissolve well in alcohol. You want to stir so that the ice cubes break down and create the water, which dissolves the sugar. Once that happens, you have a nice balanced cocktail. I love when a guest…asks me to create whatever I want. When they turn the steering wheel over to me and say drive this ship. I love to be asked to create great drinks because it gives me a chance to study the person a little bit. I feel like I can tell a lot of what somebody is going to drink by their attitude, by the way they present themselves. Their energy kind of gives me a vibe of what they might like. That does not necessarily mean a man’s going to drink whiskey and a woman’s going to drink champagne. It can be exactly the opposite. The best part of working at the Thirsty Camel is...the potential that this place offers. The Phoenician is a tremendous property. Now it’s Host, the company that took us over. I think this place is about to blow up. This is going to be the hottest spot in Arizona. What the Phoenician also offers is a great staff. Everyone here is a professional, we're hard workers, we’re all goal driven. We’re not geared to just take a paycheck. We kind of motivate and push each other. Besides the Phoenician, my favorite spots for cocktails are....I'm a big fan of Second Story Liquor Bar. I actually worked there for a little while. John Christie is actually the one who got me into Old Fashioneds. Crudo is a great place. All those guys are doing so good over there. Counter Intuitive. These are all great places to go to. Tell me a little bit about your art. It's a labor of love. I don't paint or draw as much as I used to. I think as I get older, I kind of have to force myself to. I love to do things if I have a reason, some kind of motivation, that’s when I do my best work. My favorite medium is charcoal pencil and I think that the most beautiful thing that we can draw are people, humans, women, but I like to do a little of everything, as you can see. One thing I should mention. I've been drawing and painting my whole life; however, I'm color blind. I can see colors, but not as good as you can. That's why I tend to do vibrant, primary colors. This is one I just painted. I definitely love the koi fish. They're very therapeutic to watch and I try to add movement. To me, the koi represents so many things. It represents luck, it represents strength, it represents new change, swimming up through adversity. Koi are known to swim and fight currents upstream and the story is when they get to the very top, they transform into dragons. The meaning is you overcome hardship and you become bigger, better, and stronger. This one here I call my Koi Nebula. It's kind of space, galaxies, and these travelers, so to speak. I really love that one. This one I did for a friend of mine, a '57 Chevy, for one of my regulars at Sanctuary. After I left, his wife had contacted me and told me that he was selling his truck and asked if I could make a painting to surprise him after he sold it. I worked really hard on it. It was definitely a lot of fun. 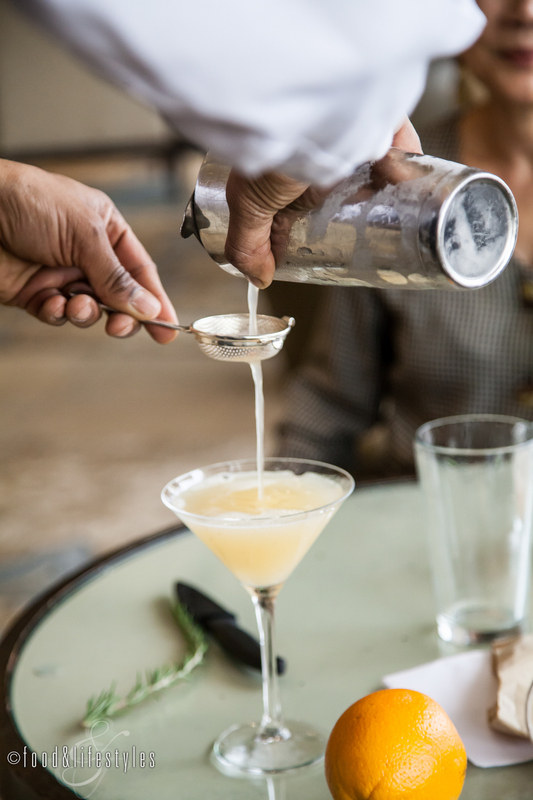 Congratulations to Robert who, two days after this article posted, won the Devour Bartending Competition, competing with 11 other talented bartenders! Visit this link for Part Two and learn more about Robert and his Solar Eclipse creation, along with the Thirsty Camel's signature Double Barrel and Last Cocktail.